I have had a heavy heart lately. I have felt the burden of the world pushing down on my shoulders. I have tried to shake it off. I have tried to lay it down. But I just keep carrying it around with me. I feel the tension in my neck, in my shoulders. I hear the shortness when I speak. I see the frustration leaking out to those around me. I don't mean to. I'm trying to control it. I'm trying to relax in God's promises. I know that I am not the only one. I know that this isn't the first time, nor will it be the last time I feel this way. I also know that everything will be ok in the end. That doesn't make the present any easier though. A dear friend sent something to me this morning. I just cried as I read it. I am so thankful for the reminder. 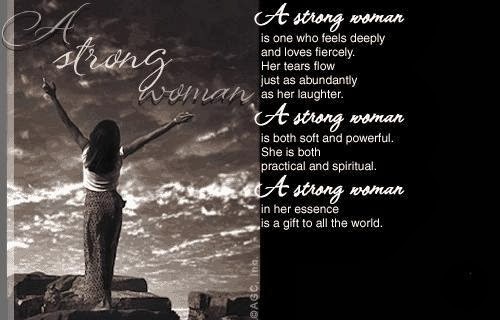 "Women, You are stronger than you believe!! Stop. Don’t just skim that. Go back, read it again! Let me explain, I have worked with many women, all who have problems because, don’t we all. I have seen many of you, who feel like you are simply to weak to go on. I have seen those wracked by guilt and thinking that you have simply messed it up to many times. I have seen those who believe they are simply victims. I have seen those of you who have no self-esteem, no hope, and no dreams left. However in all that I have seen, I saw one thing that stuck out much more that the struggles that we have. I have seen that you never give up!! You never stop doing what needs to be done. One more load of laundry, one more dish, one more hug, reaching out to help a friend, even though you feel you have nothing left to give. I have heard you cry at night, watched you try to bury the hurt you feel at the lost baby you never got to hold, the marriage falling apart, lost friendships. You are strong!! Own that. Soak it in. You may look at your hands and your physical strength and say, no I am weak. But I am not talking about just the physical strength. 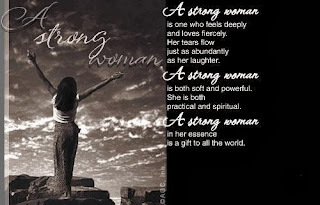 I am talking about your total strength, emotional, spiritual and physical. Look back at your life, how much you have faced, and that you have not given up, not ended your life. You keep placing one foot in front of the other every minute, every hour, every day. That shows a great inner strength, and it hurts me when I see that you are blind to your own strength. You persevere, an ability that not everyone has. Even when you don’t believe you have it, look at what you have come through, and you continue to keep going. I know it’s hard, and sometimes we wonder how we are going to make it. But that you have not quit, is a testimony of the strength that lies within. Your life story, it is a beautiful thing. It is an inspiration, and what a message to those around you. What a difference you are making to the world!! How I wish that you could see the impact that you have. Today I want you to rest in the fact that you are stronger than you believe!!" I'm not sure where this originally came from, but the message is powerful. Sometimes we just need another reminder of how special we truly are!